You could say that our years of providing venue finding services to organisations planning conferences have made us conference experts, and so, we know that engaging, informing and entertaining delegates can be quite tricky. From planning the perfect agenda, getting the right speakers and rolling out a successful marketing campaign, there are several challenges that the event planner has to overcome. The most important thing about any conference is the attendees because they are the ones who decide whether your conference is a success or not. Therefore, gathering as much information as you can about your attendees before the event – such as their likes, dislikes, and motivations – will help you to better meet their expectations of the event. One way to organise this is to use a marketing trick of separating the information out into personas. These personas are semi-fictional characters who represent different segments of your audience, and by digging into their needs and motivations, you will be able to better choose elements of your conference to inspire them and get them involved. You will also have a clearer idea of how to promote the conference in the lead-up to the big day, such as which social media channels to use and the best time to use them. One of the great difficulties of any corporate event is keeping your delegates focused and paying attention, especially if your event is held over multiple days and includes lots of long sessions of workshops or talks. Any good conference agency will tell you that you should take a good hard look at every element of your conference and evaluate its potential effect on attendee engagement. First of all, you should think about the type of speaker you need – someone who your delegates can relate to and who might include motivational speeches or informative demonstrations. Make sure you also schedule in plenty of refreshment breaks and leisure time to make sure your guests stay refueled and refreshed and therefore, alert throughout the conference. Your theme is the thing that will dictate the tone of your event, and as every element of your conference will be built around it – so it is important to make sure it appeals to your delegates. They need to not only understand the message of the theme but also be inspired by it – will it create an extra special event for them? Your company branding should also play a key part in the conference theme so that the attendees associate the conference with your organisation and its values. If you have a speaker who does not command attention, then your delegates may switch off and miss what is being said. This can not only set the tone for the rest of the day (which will be wasted) but may also colour the attendee’s opinion of the conference as a whole. Also, if they find the talks uninteresting then they may think that your organisation is as well. The speaker you choose is essentially representing your company to the attendees – they may be the first person that your attendee listens to so they need to be able to convey key messages in a clear and inspiring way. Therefore, when selecting a speaker, it is important to meet them in person to judge for yourself how they act and speak – and how they interact with the audience. You don’t always need to look outside your company to find the right speaker – sometimes having someone from inside your company can be just as impressive. They not only know the subject inside and out and will be passionate about your brand’s message as well. Delegates may well be impressed with how well your company knows it’s area of expertise, and will keep that in mind when they need some advice. Nowadays, for any conference to be a success, it needs to have the right digital technology running through it. This could be things such as pre-event surveys, e-tickets rather than paper passes, or maybe even an event app allowing attendees to access information wherever they are. However, only use technology if it is of use to the attendees, not as a way of showing off. 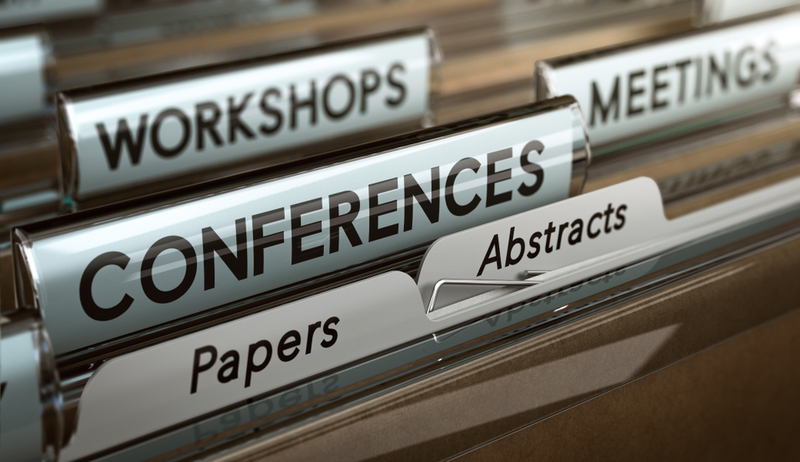 Planning your conference with these challenges in mind, and using Conferences Group to help you to find your venue, should help you to avoid any disasters on the day.